Recently, I flipped over to Direct TV channel 213, the Major League Baseball Network, and saw the New York Yankees playing a spring training baseball game. Here in 2014, Derek Jeter is about to begin his final season. Seeing the game reminded me of an old friend and of an essay I wrote back in March of 2009. It’s been a rainy start to Spring Break 2009; it’ll be sunnier and warmer by the time you’re reading this. What possibly could young people do with all this time if it were to stay wet and cool? Back in November I told you about Mr. Luther Bogan. 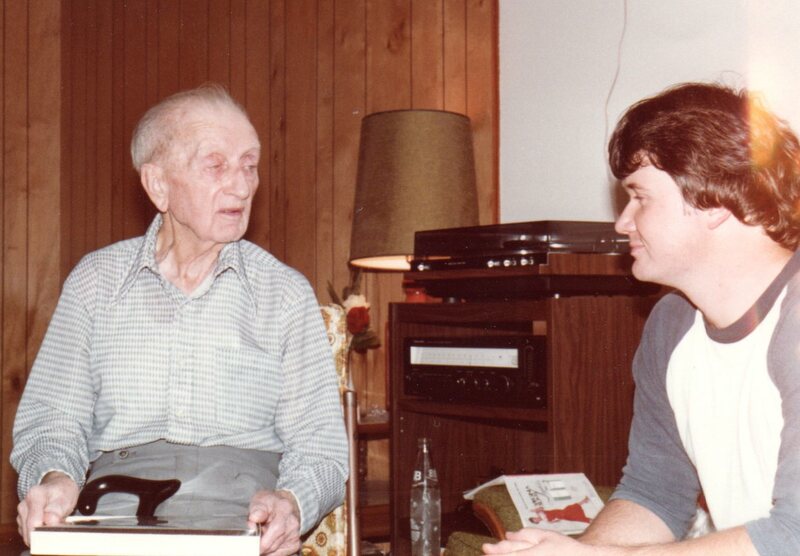 In Hattiesburg, Mississippi in 1981, he was my next door neighbor, and he was 92 years old. Like many of us in older age, Mr. Bogan’s thought process could be both sharp as a tack and fuzzy at the same time. He would sometimes struggle with the details of the day or the moment but could relay, with great accuracy, details of an event that took place years earlier. Let me remind you that when I knew Mr. Bogan I was 21 years old. I was a loaded-down college student with a 20 year old wife. I visited Mr. Bogan regularly, but in retrospect, not enough. I listened to him, but there are times today when I wish I had listened closer. What can I say? I was young. My mind was often preoccupied. There was a day when Mr. Bogan began to tell me a story about the New York Yankees coming into New Orleans to play an exhibition game. At first I was mildly interested. As he began to lay out the account, I remember thinking to myself, “Hmm, Mr. Bogan might have seen Mickey Mantle and Joe Pepitone and Yogi Berra. But it also entered my mind that it being an exhibition game, it may have had more of a minor league feel with the big names not even at the location or just getting maybe one at-bat for the New Orleans fans. Mr. Bogan told me that he and three friends set out for New Orleans to see the Yankees. They were within just miles of the city, when they came to a place in the road that was flooded by a swollen stream. They stopped their car and got out, completely disgusted. I remember him saying that they leaned on the car and knelt down by the water saying very little. They stayed there for a good while, 30 minutes or more, not believing their bad luck. They had really wanted to see the New York Yankees. He said that as they began to move back toward the car, finally understanding that their trip and their plans had come to an end, they heard the sound of a boat motor. I can see them scrambling away from the car and back to the edge of the water as they first heard the motor, very likely an early Evinrude. The man in the boat delivered them across the flooded stream, and then they hitchhiked their way into New Orleans and then to the ballpark. They arrived at the game sometime after it had started. Mr. Luther Bogan told me that he was in the ballpark and walking up the ramp to the seating area when he heard the loud crack of a baseball bat connecting with the ball; the sound was instantly followed by a loud roar from the stands. He then quickened his pace up the ramp, and at the top of it, the sight of the field lay out in front of him, and the large crowd was still cheering. Mr. Bogan told me this story in a matter-of-fact manner; he offered no dramatic build up. He was simply telling me a story that he remembered because he was once a baseball fan, and he knew that I was too. As I told you earlier, I was mildly interested. While I was listening to him, I might have been also thinking about some paper I needed to write, or some long assignment I needed to read, or my young wife, or suppertime, or whatever. What Mr. Bogan told me next refocused my attention, and made me wide-eyed in amazement. As he reached the top of the ramp with the field in front of him, he saw Babe Ruth jogging down the first base line. The crack of the bat he heard was a home run off the bat of George Herman “Babe” Ruth. While my interest in what he was telling me multiplied exponentially, the shock of realizing what those eyes had seen must’ve also kept me from hearing the remaining details of the story. As unbelievable as it sounds, I know that he told me the next three batters also homered. It would be easy to believe that this was “Murderer’s Row” of 1927 and beyond, with Ruth, Lou Gehrig, Bob Meusel, and Tony Lazzeri. But I know that he mentioned Frank “Home Run” Baker in the group of those that homered. When my old buddy, Zoom Garrett, read the draft of this essay, he did what he often does when any mystery arises. He started digging around on the internet—and found that Home Run Baker and Babe Ruth played together for the Yankees in only 1920, ‘21 and ‘22. And he found out where the Yankees held their spring training in 1921: Shreveport, Louisana, and in 1922: New Orleans. 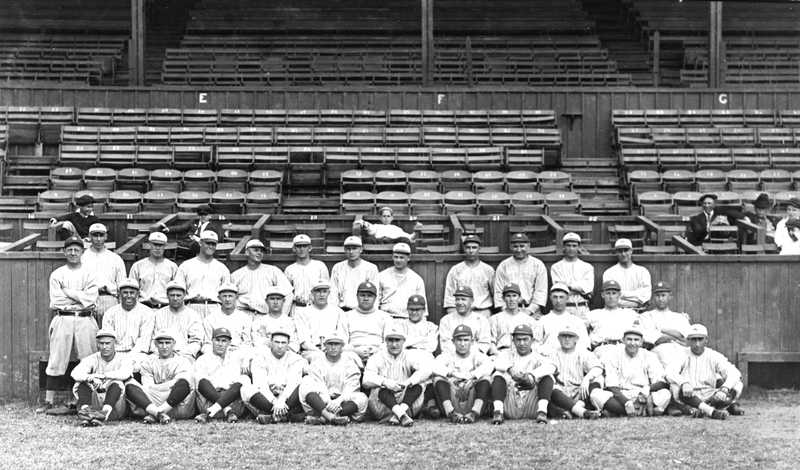 So, in ’21 the Yankees came over from Shreveport to New Orleans to play a game (because I found a Library of Congress photo showing the Yankees in NOLA in 1921), and in ’22 they were there for the entire spring training. And my old friend, Mr Bogan, was there also, for a memorable afternoon. In the years since, I’ve come to realize that Mr. Bogan and his friends would’ve, quite obviously, been riding in a very early car that had tires not much wider than big bicycle tires. And I realize now that it was probably pretty common after a good rain for roads into New Orleans to be flooded, and that this was almost certainly a gravel road that they were riding on with probably, at best, low wooden bridges. I realize, too, that Mr. Bogan would’ve been in the prime of his life, about 30 years old. My life has been made richer by storytellers who have passed down some of the history and culture of my family and this place I call home. Some of their names are Jimmie, Gene, Tom, Russell, Delton, Simp, Preston, and Reid. I’ve asked a good many questions—but not nearly enough—of Bonnie Ruth, Zelda, Lucille, Donis, Opal, Margaret, Martha, Fannie, Helen, and Noma Lee. Whether wet, dry, sunny, or warm, whether Spring Break or not, asking questions of and listening to the older folk can be a valuable way of spending our time. I’ll vouch for it; you never know what you might hear from the mouths of those who have seen so much. Great story, Tony. I know Mr.Bogan was probably one of the best neighbors you ever had. Looking at the photograph, my guess is that it was taken in our home. I see a nice turntable & receiver. I meant to type ‘your’ home. I do not like these auto correct features on these ‘so-called’ smart phones. They imply too much and go into auto pilot mode. Thanks again, Bryan. I’ve written 3 or 4 Mr. Bogan stories. I’m sure they’ll get rolled out one day. He was a great neighbor. I wish I had spent more time with him than I did. And that sound system was a Radio Shack “Realistic,” and it was pretty darned good. That was our little sparse apartment in Hattiesburg on 38th Avenue. They are still there today.